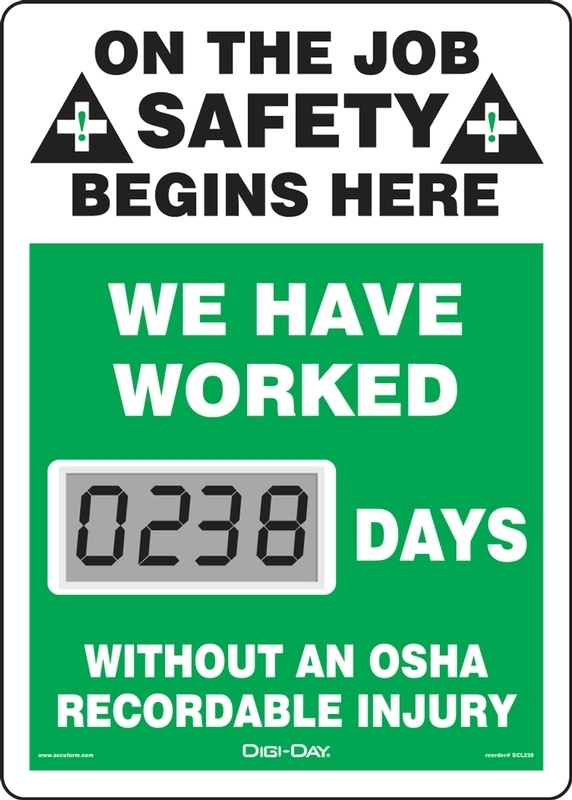 Safety Scoreboards provide safety motivation to employees. 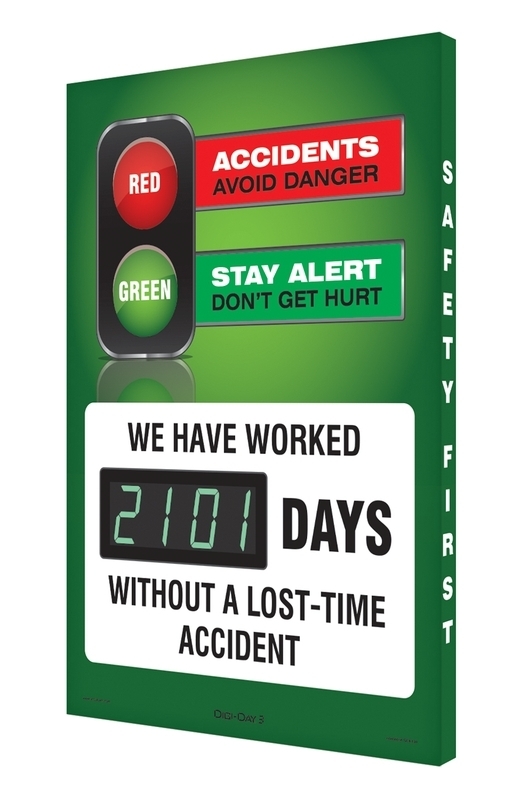 Safety Scoreboards by Accuform Signs are a great motivational tool to keep employees aware of Safety in the workplace. The Digi-Day Scoreboard has a hand held remote control for programing, and will eliminate the need to change numbers by hand each day. Set it, and forget it ! Raise Safety Awareness in your facility to a new level, while reducing lost time incidents. We offer a full line ofSafety Scoreboards, at the lowest price, and they Ship Free over $50. Please Note that our Accuform Safety Scoreboards are priced much lower than any posted price around, even lower than Amazon. Also, when price shopping make sure that you are getting Free Shipping. All of our Safety signs, and Scoreboards Ship Free ! Electronic Moving Message Display Four Line Format 36"